Thinking of inviting Big Soul Project to perform at your event? In keeping with our motto - "Lifting you higher" – Big Soul Project (BSP) has a mission to bring people together to promote a sense of connection and empowerment through singing. 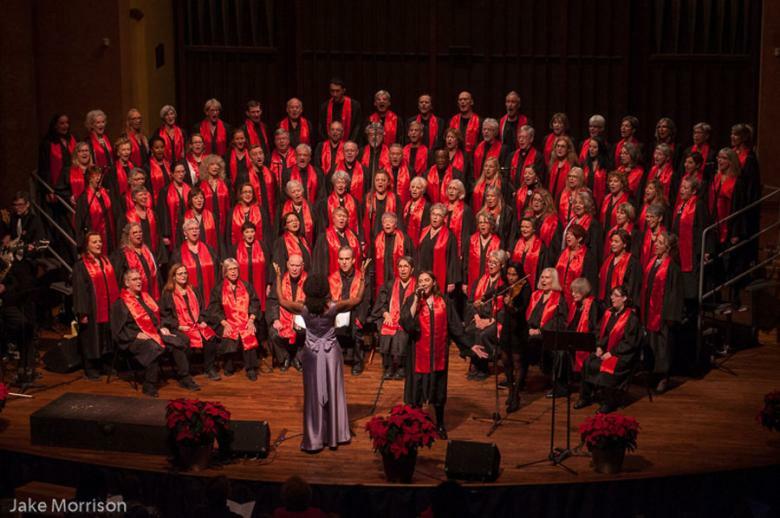 BSP is a community-based choir with 130 members. We sing a mix of gospel, R&B and soul, and we enjoy enthusiastic audiences who like to join in. Our 4-member band, Deep Groove, is an integral part of BSP. Our choir loves to sing at fundraisers for good causes that contribute to community, including: charities and other non-profits, social justice groups, special events, as well as at music festivals and local music venues. As sponsor of the BSP concert, you must take full responsibility for staging the concert including: planning, financing, design and printing of promotional materials, publicity, recruitment of volunteers, ticket sales and front-of-house. A committed organizing team and dedicated group of volunteers are essential to make your concert a success. If your application is approved, our Productions Coordinator will work with you to ensure everything is in place to create a successful concert. Our Marketing and Publicity Coordinator will offer guidance on publicity. It costs BSP about $1500 to stage a performance. The sponsoring organization is asked to make a financial contribution of $500. You will also be responsible for the venue rental, poster and ticket design and printing, and miscellaneous expenses.